Emma Bradshaw—a high-society young woman from New York, who is forced to move out to the untamed Front Range in Colorado and finds that true love can withstand all the dangers the West can throw at her. In this passionate sweet Western Historical Romance, author Charlene Whitman introduces Emma Bradshaw—a high-society young woman from New York, who is forced to move out to the untamed Front Range in Colorado and finds that true love can withstand all the dangers the West can throw at her. 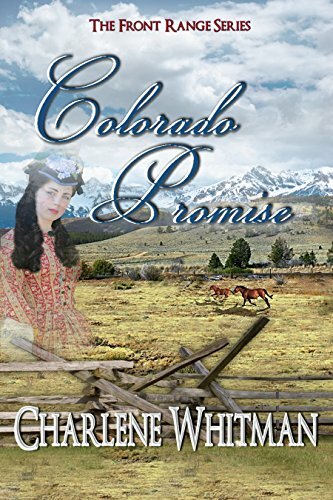 Colorado Promise is the first full-length novel in the Front Range series—-a rich story full of sweet, heartwarming, and chaste romance. Don’t miss Colorado Hope; Wild Secret, Wild Longing; and Colorado Dream, the next stories in this historical western series!